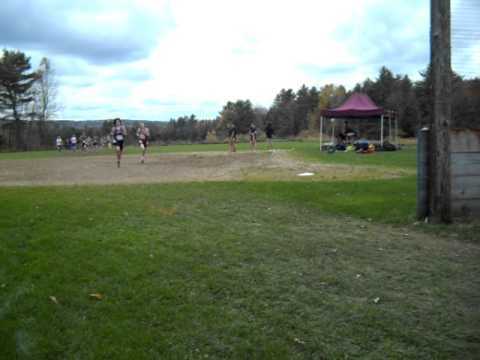 Bragging rights and championship hardware will be on the line in Belfast this weekend, as Eastern Maine's top cross country teams and individuals will converge on Troy Howard Middle School's 5K course for Saturday's regional championship meets. The Class C teams kick off a full day of racing at 11 a.m., with the girls running first in each class. The Class A races will follow the Class C meet, and the day will wrap up with the Class B squads running. Cross Country Eastern Maine Regional Championship Class B Boys Race, Troy Howard Middle School 5K course, Belfast, Maine. October 22, 2011. Video taken at about 2100 meters.